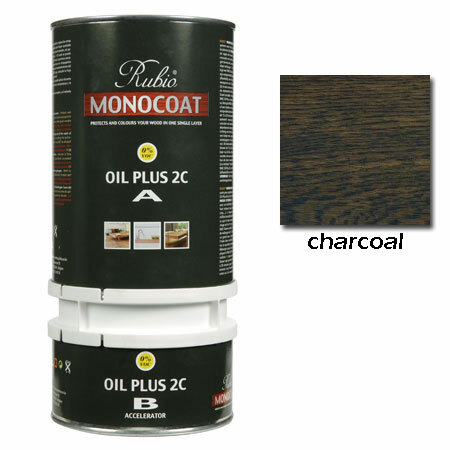 Rubio Monocoat Oil Plus 2C is a 2-component oil finishing system, consisting of Monocoat Oil Plus (A) and Accelerator (B) that is very suitable for indoor applications which require quick curing. Monocoat Oil Plus 2C is applied in one layer and cures in 5 days - learn more. This product is also extremely suitable for industrial applications, both with oxidative and UV processes. - Color Oils: +/- 350 s.f. per liter. For application with oxidative and UV drying systems. The equipment used can be cleaned with Rubio Monocoat Raw Wood Cleaner.